This article was written by Leon Steadman, the same helpful reader that showed us how to Use a Custom Theme for the XP Classic Logon Screen. Do you use Firefox 3 on Windows XP (or Windows 2000) and wish you could have the sleek blue style of the Windows Vista theme instead of the multi-coloured playschool XP one? 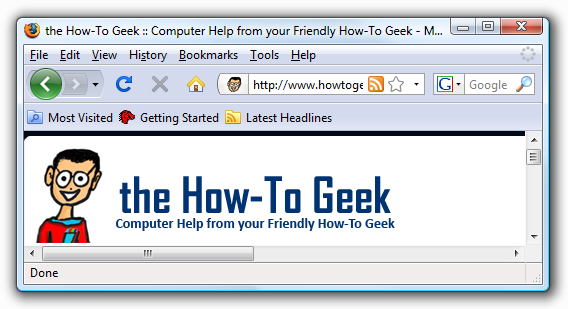 Normally, the only way to do so is to download a Vista-style theme from the Mozilla Add-ons site. However, they are often big, resource-hungry and can slow down your Firefox. 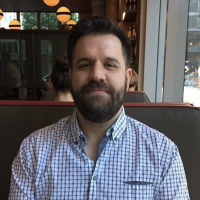 Plus they can break when Mozilla updates Firefox, or have ugly missing parts where the theme author has not been as comprehensive as they should have. Well, the good news is that Firefox for Windows-only has both the Vista and XP themes built in and there’s a simple trick to tell it which style to use. If you’re on a Mac or Linux (or on Windows and want to use the Mac/Linux themes), I’m afraid you’re out of luck and will have to continue to use the themes that have been created on the Mozilla Add-ons site. First of all, make sure you completely exit all Firefox windows, and download and extract the Firefox3WindowsThemes.zip file (link at bottom of page). 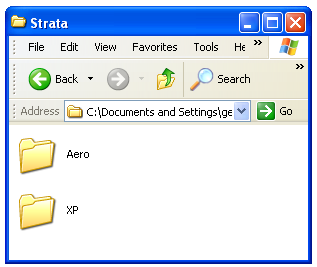 Once you’ve extracted the files, go into the Strata folder then the Aero folder. There will be a file there called classic.manifest. We will replace the default Firefox version with this one. 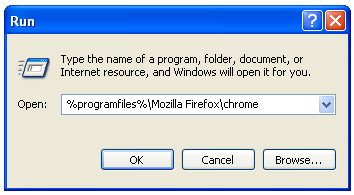 Next you’ll need to open up the Firefox application chrome directory by going to Start \ Run and pasting in the following path, or just manually browsing down through windows explorer. Inside this folder, you should see the classic.manifest file that we will replace with the one from the downloaded zip file. Important Note: Before we proceed, we need to backup our original classic.manifest file. Right-click classic.manifest and select rename. Now rename it to classic.manifest.bak. 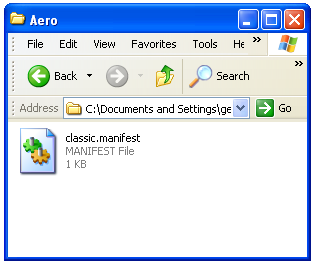 Next copy and paste, or drag the classic.manifest file from the Aero folder you just extracted to the Chrome folder. Open Firefox and enjoy the Vista-like goodness! 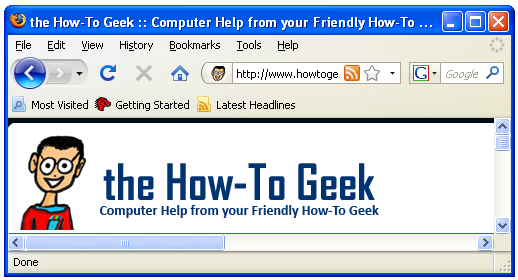 If, for some strange reason, you are using Vista and would like to use the XP Firefox 3 theme, we’ve got you covered too. Follow the same steps as above, but instead of replacing the classic.manifest file from the Strata > Aero folder, use the one from the Strata > XP folder instead. 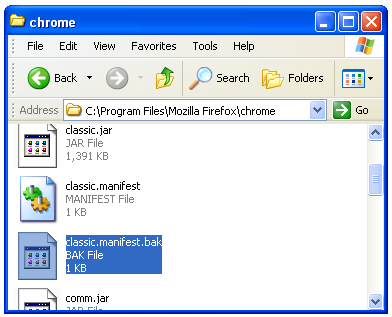 If you ever want to go back to the original Firefox theme (or if your Firefox starts acting up because of it), all you have to do is delete the classic.manifest file in the Chrome folder and rename the backup copy from classic.manifest.bak back to classic.manifest.